Pre-shave oils are usually associated with the blade & brush type of shaving, so you may be wondering what this has to do with electric razors. And that’s a valid point, but when it comes to wet shaving with an electric razor, we can and should look at traditional wet shaving for some really useful tips. Apart from the thing that does the actual shaving, these two mantras are extremely similar with regards to the prep work that is often treated as an afterthought and it can make the difference between a mediocre and a great shaving experience. This especially holds true for the gentlemen with sensitive skin. A pre-shave oil was always the type of product that was regarded as useless by some and necessary by others. I guess that the Your mileage may vary saying applies here as well. So lets take a closer look at it and settle the debate. What is a pre-shave oil? A pre-shave oil is usually a mix of a few oils, the most widely used being sunflower, avocado, jojoba or safflower oil and it has a rather watery consistency. It is applied prior to lathering, by massaging it into your moist skin after washing thoroughly with warm water. The idea is to cover the surface of the skin with a very thin film of oil, so a few drops will suffice. Here comes the most interesting part. I’ve seen many claims about how it helps with lubrication and that it softens the hair. However, this is not how and why it works. First of all, an oil can’t soften the hair by itself. Like I said in a previous article, the hair is covered in a very tough outer shell called the cuticle and it can only be weaken by alkaline components found in a quality shaving cream. Also, by having a very thin consistency a pre-shave oil doesn’t do much with regards to lubrication like other oils that stick to the surface of the skin. Again, a quality shaving cream will do just that. So what’s the catch then? Well, a pre-shave oil works by penetrating and holding the water into your skin, making it supple, plump and well-moisturized. This greatly reduces the risks of irritation when shaving. Flaky, dry skin is much more prone to irritations and cuts, even when using an electric shaver. It comes as no surprise that the greatest improvements are seen by those with flaky and dry, sensitive skin, by making it more pliable and “plump”. Think of the surface of the skin when seen with a very powerful magnifying glass; the skin that lacks proper hydration and elasticity will have lots of imperfections that could cause these type of problems when shaving. Will a pre-shave oil work for me? Unfortunately this is another one of those situations when only experimentation can give you the answer. However, if you are a fan of wet electric shaving and you feel that there is still room for improvement in your results, even though you did all the right things, you should give it a try. Like I said before, there are men that have seen massive improvements. But there are also cases where it didn’t seem to do anything noticeable. It’s all about you, your skin and your shaving habits. I personally know people that can throw anything at their skin when shaving and still don’t suffer from irritation or discomfort. But since you’re reading this article you’re probably not one of them. I know I’m not. What makes a good pre-shave oil? Considering how it works, a good pre-shave oil will penetrate your skin and retain the moisture, as opposed to one that sticks to the surface of the skin. Also, a quality product will have natural ingredients, without stuff that can cause irritations and other unpleasant reactions. 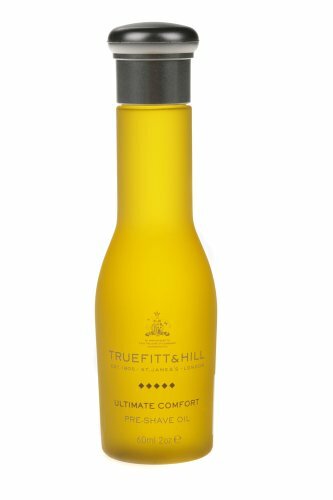 I can recommend the Pre-shave oil by Truefitt & Hill as it’s the only one I’ve ever used. It has a pleasant, citrusy smell and that bottle lasts a REALLY long time. I’ve shaved with and without it and for me it really seems to work. I always get closer and more comfortable shaves when using it. There are of course other options, so feel free to choose the one that seems the best fit for you. Hopefully this article managed to clear some of the confusion surrounding this topic. As a conclusion, for some men a pre-shave oil can really be that one thing that makes everything just a bit smoother. Or a lot smoother. Give it a try. Home » Articles & Guides » Tips » Pre-Shave Oils and Electric Shaving—are they worth the trouble?